Today, New York Attorney General Eric Schneiderman filed a lawsuit accusing Charter’s subsidiary, Spectrum, of lying to customers about the internet speeds it advertised and the reliability of its network. Charter’s subsidiary, Spectrum, was previously known as Time Warner Cable until last year, when the name changed after a $65 billion merger. Although TWC still exists in some parts of the country, Charter has publicly stated it will eventually market those services under the Spectrum brand. We are disappointed that the New York Attorney General chose to file this lawsuit regarding Time Warner Cable’s broadband speed advertisements that occurred prior to Charter’s merger. Charter made significant commitments to New York State as part of our merger with Time Warner Cable in areas of network investment, broadband deployment and offerings, customer service and jobs. In addition, Charter was among the highest rated broadband providers in the 2016 FCC Broadband Report. Charter has already made substantial investments in the interest of upgrading the Time Warner Cable systems and delivering the best possible experience to customers. We will continue to invest in our business and deliver the highest quality services to our customers while we defend against these allegations involving Time Warner Cable practices. This isn’t the first time Spectrum (or Time Warner Cable) has been targeted by the state attorney general, though. Last year, Schneiderman formally contacted the company and asked it to fix service problems that occurred following the mega-merger. Charter Communications said at the time it was making investments in the network and was working to integrate systems better. Time Warner Cable has been accused of fraud in various states over the last couple of years. In 2014, a New York man sued Time Warner Cable for “deceptive acts and practices” and “false advertising.” (Sounds familiar, huh?) In this particular lawsuit, the man said he’d signed up for a Time Warner Cable promotional $34.99 package, but received a first bill for $94.45. The lawsuit explains how after calling customer service, the man spent hours on the phone and was only partially refunded. The company also goes to great lengths to get money from its customers. In addition to being accused of trying to “convince as many subscribers as possible to sign up for high-speed plans as part of its plan to grow revenue,” it has also aggressively pursued late payments. In 2015, Time Warner Cable was ordered by a Manhattan federal judge to pay an insurance claims specialist $229,500 for placing 153 automated calls to her cellphone meant for someone else within a year, even though she told the company to stop. The judgement found that TWC was in violation of the federal Telephone Consumer Protection Act, a law that was intended to curb telemarketing and robocall abuse. 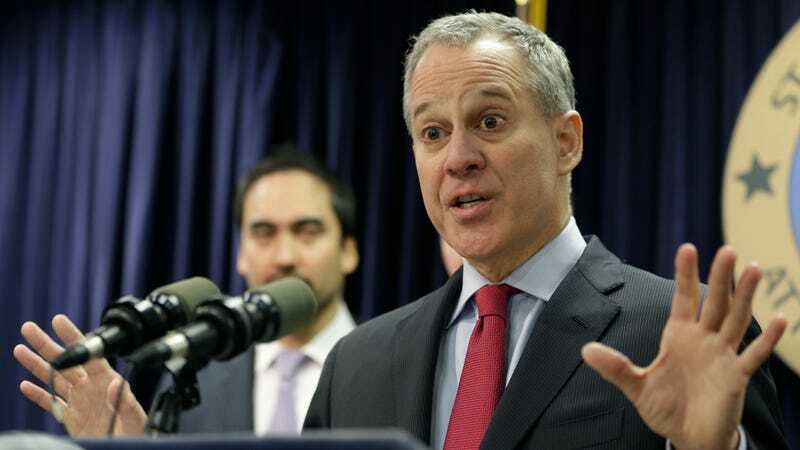 The New York Attorney General is still investigating internet speeds around the state and has made it easy for people to report fraud. You can visit this website to run a broadband speed test, then report your results to state regulators. If you live elsewhere, you can always file a complaint with the FCC.